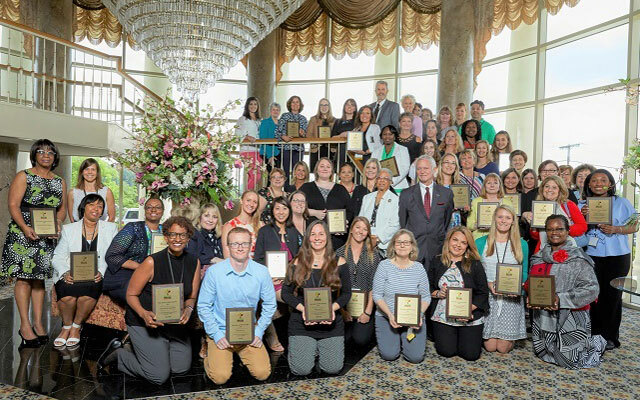 On Friday, June 1, Howard Haft, Secretary of the Maryland Department of Health and Mental Hygiene, presented a silver Wellness at Work award to Legal & General America in recognition of its exemplary accomplishments in worksite health promotion. The Wellness at Work Awards took place as part of the 9th annual Maryland Workplace Health & Wellness Symposium. Legal & General America was one of 58 businesses to receive an award. The Wellness at Work Awards are sponsored by Healthiest Maryland Businesses, the state’s initiative to support healthy workplaces. Employers may earn a Gold, Silver, Bronze, or On the Path award. To be eligible for an award, businesses are required to establish leadership support for wellness, create wellness committees, survey the needs and interests of their employees, set health improvement goals, and develop monitoring tools to track their outcomes over time. Launched in 2010 and based at the Department of Health and Mental Hygiene, Healthiest Maryland Businesses helps organizations create customized wellness plans, set wellness goals and monitor progress. Six regional coordinators around the state provide personalized guidance to businesses of all sizes. To date, over 270 businesses have signed on to take advantage of this program.